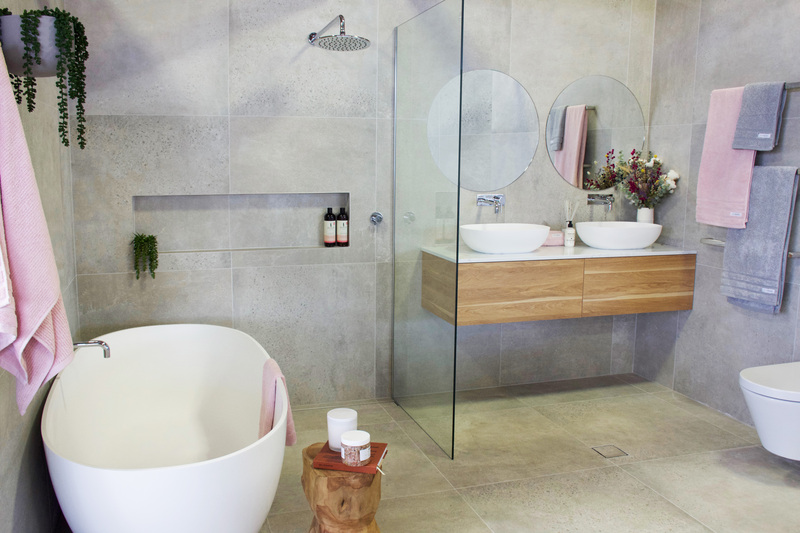 We all know that the photos you see of beautifully styled bathrooms are generally unachievable in everyday life. Between hubby’s shaving paraphernalia, the kid’s incessant need to squeeze out ALL THE TOOTHPASTE and leave dollops of it all over the sink plus my implements of hair torture plugged in and spread out (you know that feeling when you leave the house every morning – did I turn off the hair straightener?) the family bathroom is rarely the clean and tidy luxury space you see in the magazines. Kid’s toothpaste habits aside, there are a few handy bathroom design tips that can save you from feeling like you’re constantly drowning in bathroom clutter. The number one tip I can give you is to choose your vanity very carefully. While I love the modern look of open shelving and perfectly rolled towels and designer bathroom products, I know that within 10 minutes the towels will have been used to mop up something indescribable from the floor and Barbie’s hair will have been “washed” with the brand new bottle of Aesop’s Hydrator I bought myself for my birthday. Find a vanity with storage. Oodles of it. Shelves and cupboards are amazing for keeping your spare towels, TP and hairdryer hidden and organised. Even better is a vanity that pairs cupboards with drawers. Drawers are the best place for storing things like make up, moisturiser and all of those small items that can get lost in a big cupboard. You can also use non-slip mats inside your drawers to stop your stuff from moving every time you open the drawer. Even better – quality vanities have soft close doors and drawers to prevent busy parents and grumpy kids from slamming things closed and smashing your perfume bottles together. You can also use plastic storage boxes or tubs to help organise your cupboard contents. Just steer clear of fabric or cardboard crates as these may not cope in the moist bathroom environment. The beauty of doors and drawers is that you can keep your clutter hidden. And the kids are less likely to think your toiletries are their favourite toys if they’re not on the bench, ready to play with. 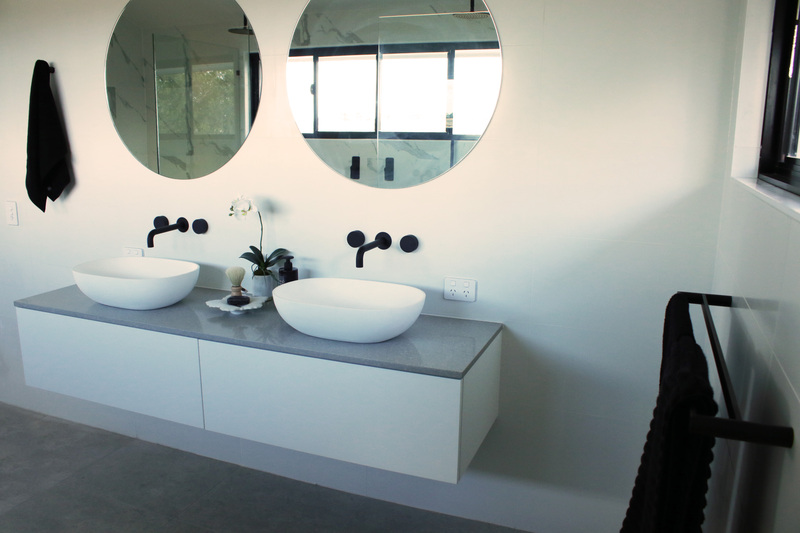 Considering a floating vanity? 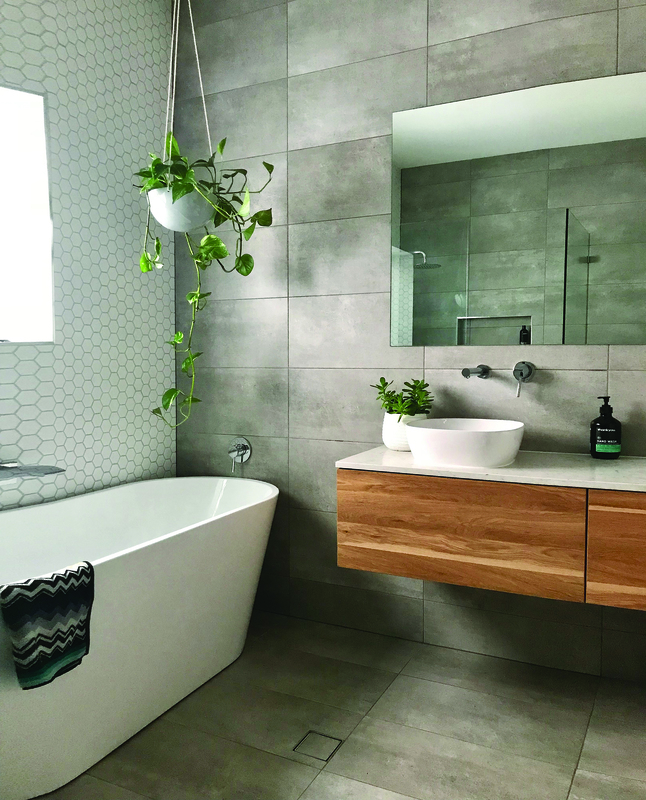 These can be a fabulous choice in your family as they allow for more air flow and create the illusion of space so your bathroom feels lighter and more expansive; particularly important if the whole family is getting ready together in the morning. You can install floating vanities at any height, so you get maximum useability and personalised comfort whether you’re short or tall. Elevating your vanity off the floor can create additional useable space underneath – perfect for storing your toddler’s step stool so you don’t trip over it every time you need to wash your hands or even for styling some beautiful crates and stools with any spare toiletry or linen items that look better on display instead of hidden in the cupboard. Anyone else watching The Block 2018? We’re up to Season 14. We’re roughly 650 episodes in and the judges feedback during bathroom week is always the same. What’s face-level storage, you ask? It’s storage above the height of your vanity that is easy to access – so you don’t have to keep bending over and opening cupboard doors under the bench. Fear not the 1970’s metal shaving cabinet – face level storage has had an overhaul in recent years and can actually add to the overall aesthetic of your bathroom. Don’t believe me? Mirrored Ceiling Height cabinets with different width variants to suit your vanity, the full height of these units is designed to extend up to the ceiling, making your room feel larger and more expansive. Equipped with two shelves (with extras available to order) these mirrored cabinets will hold all of those things you need to keep close at hand. 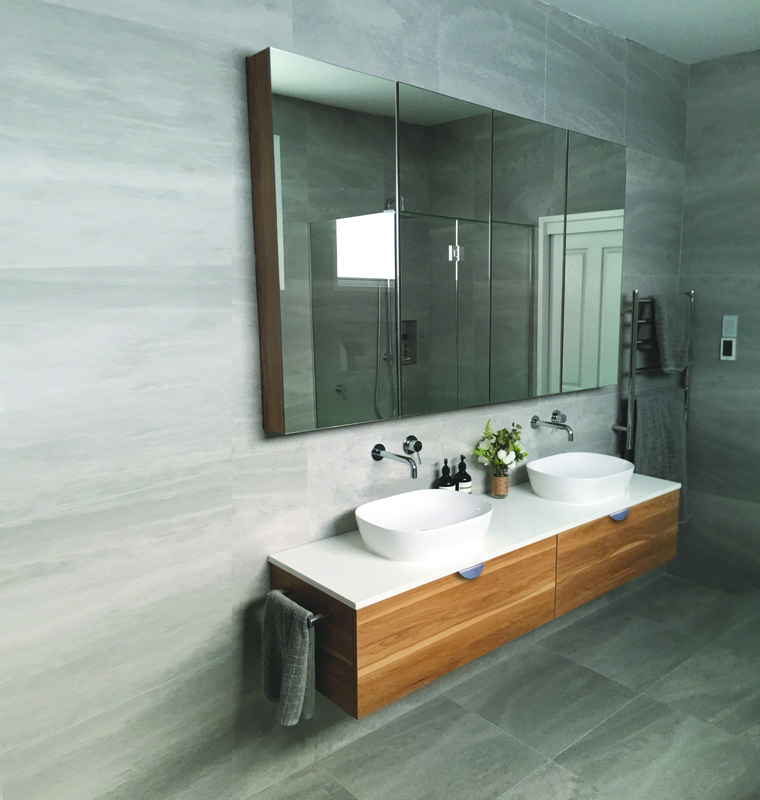 Available in White or Timber laminate finish, there is a size and look to suit your bathroom.